Another day of endlessly beautiful lochside cycling in fine weather. 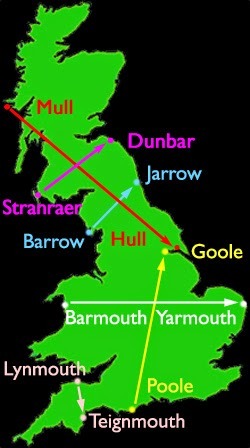 Plus a deer, a seal, a canal, the smallest 'bar' in the world, and a bizarre place name. I started cycling up the Crinan Canal towpath to Crinan, where it opens into the sea (picture). It's a playground for deer: I saw one on the towpath, not a feature of my English towpath cycling. It's also a playground for millionaires, at least judging by the price of the coffee in the canalside cafe. 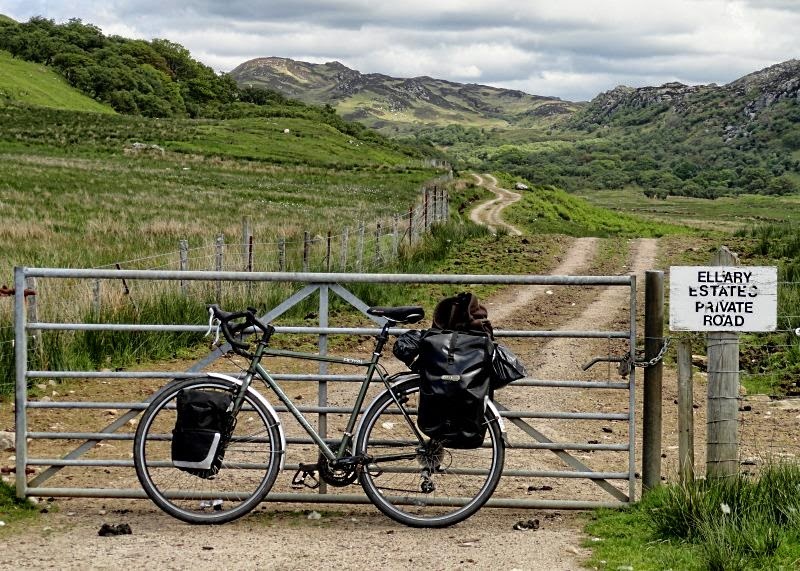 I cycled down the tiny road along the lovely south-east shore of Loch Sween. 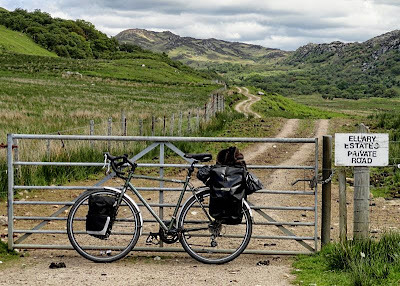 For cars it's a cul de sac, but cyclists can use the private track (picture) over the hills between Kilmory and Ellary, and continue to join the B8024. It's so remote it's not even on Google Maps at all, never mind Street View. I had lunch at the summit of that cyclist-only stretch, with a wonderful panorama over Loch Caolisport (picture). Obviously, I only ate locally-sourced products. They all came from Lochgilphead Co-Op. 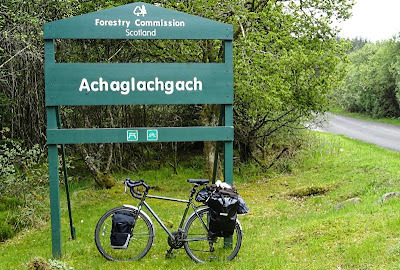 More wonderful (and mostly flat) lochside road cycling came on the next peninsula, round to West Loch Tarbet via Kilberry. 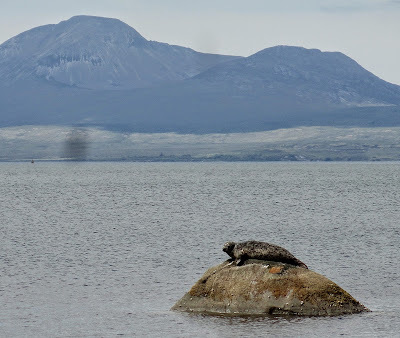 En route I spotted this spotted seal (picture) basking on a rock in front of the Paps of Jura. That makes the Interesting Wildlife tally so far White Tailed Eagle (2), Sea Eagle (1), Highland Cattle (millions), Otters (0 but one beer of that name), Deer (1 live 1 dead), and Seal (1). 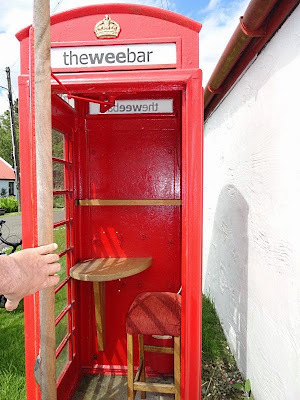 At Kilberry there was an Inn with this very small bar (picture). Last week I was at the Signal Box Inn in Cleethorpes, officially (according to Guinness) the Smallest Pub in the World. (It has space for three people.) This phone-box-sized drinking booth may, I suppose, be the world's snuggest snug. 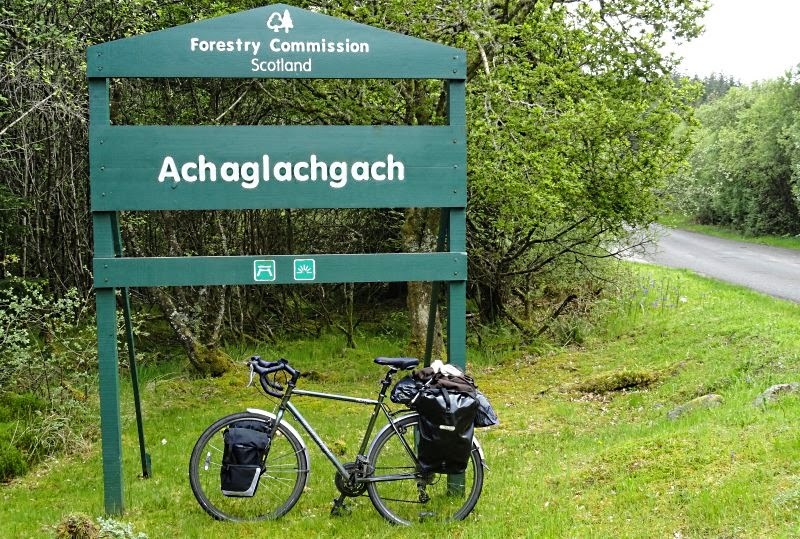 I was delighted to go through this place, Achaglachgach (picture), evidently named by mistake when the person deciding what to call it was caught gargling. Anyway, I'm on Arran tonight, in the youth hostel, doing what groups of outdoorsy people naturally do on a gloriously sunny evening. Watch the Champions League final on telly.